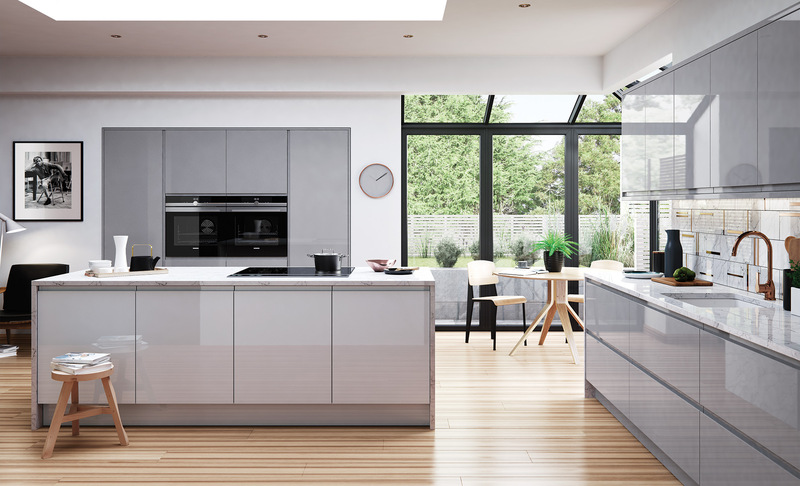 Visually stunning as well as virtually indestructible, Zola Gloss provides a mirror-like finish that will complement any space it occupies. 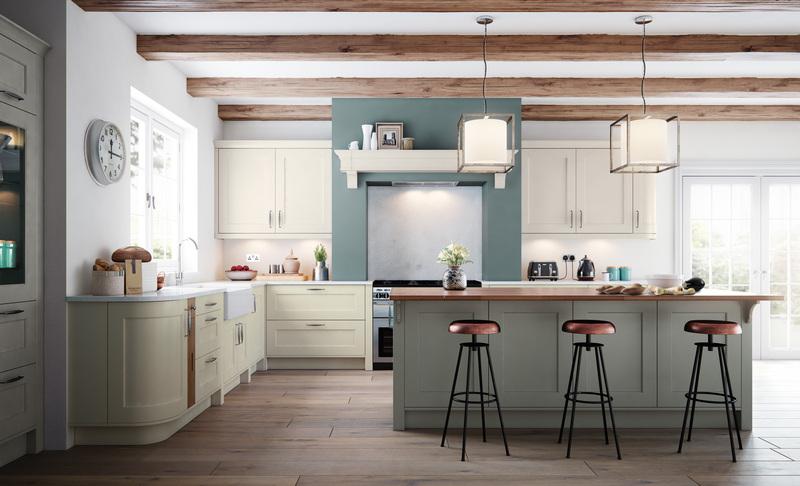 Available in five subtle shades, this kitchen provides the perfect blank canvas to which you can inject your own personality and style. 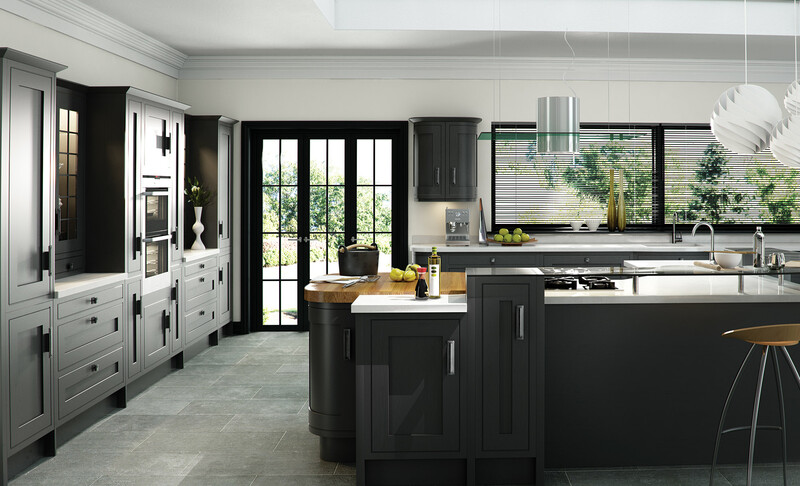 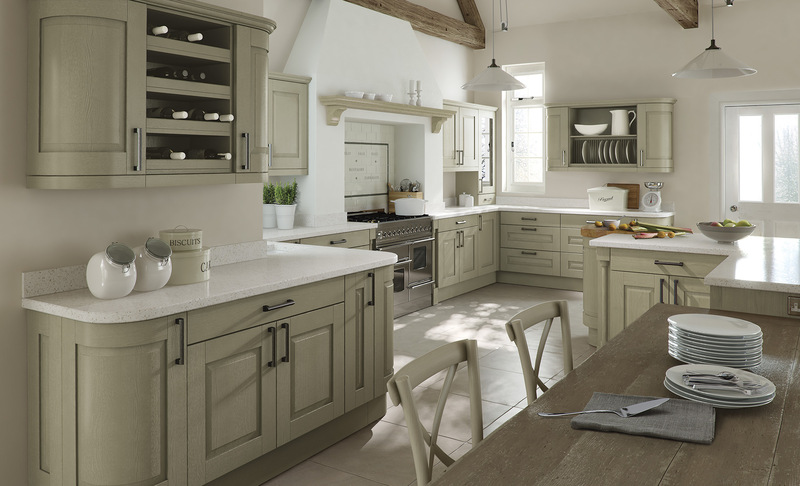 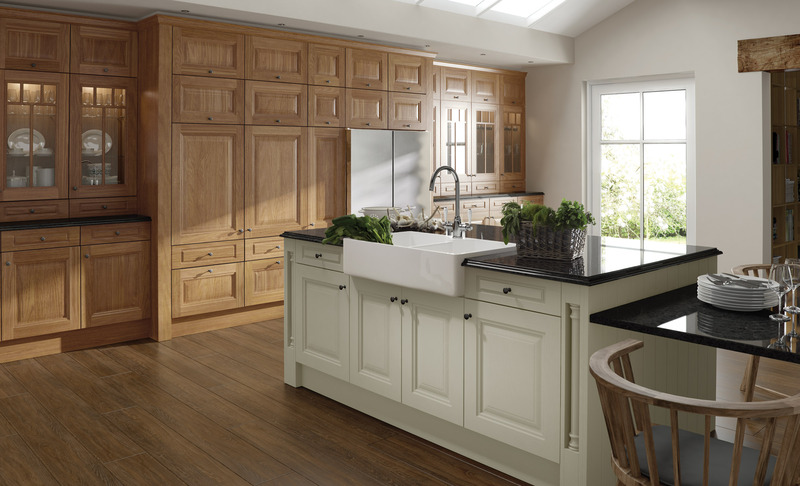 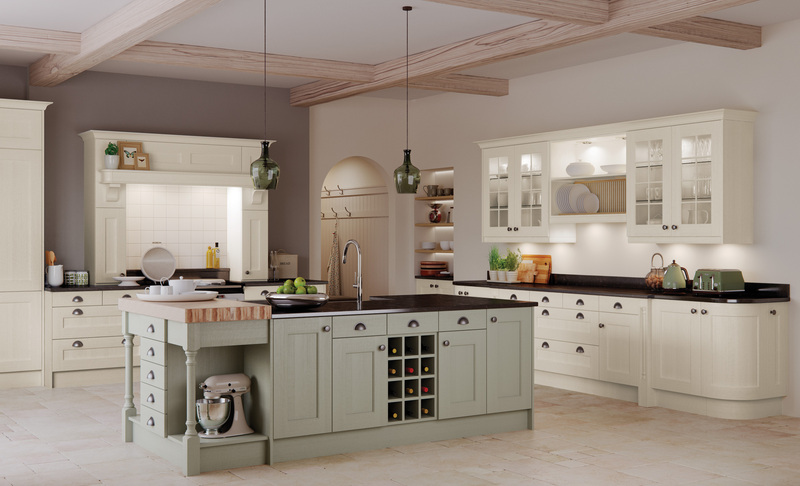 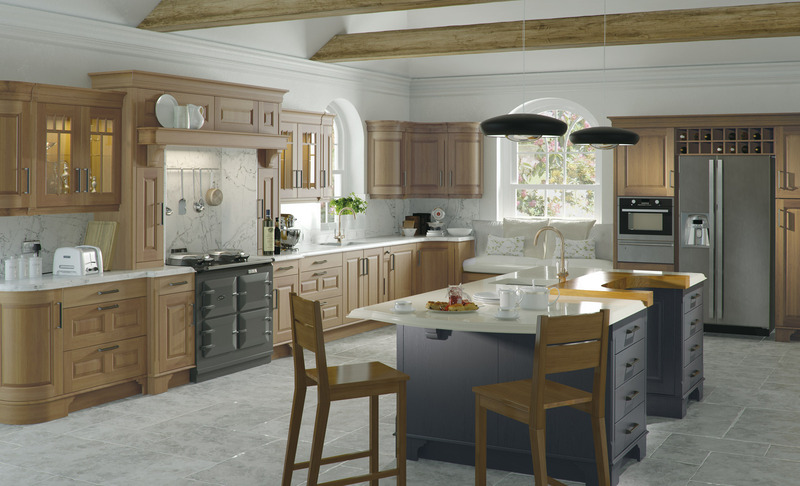 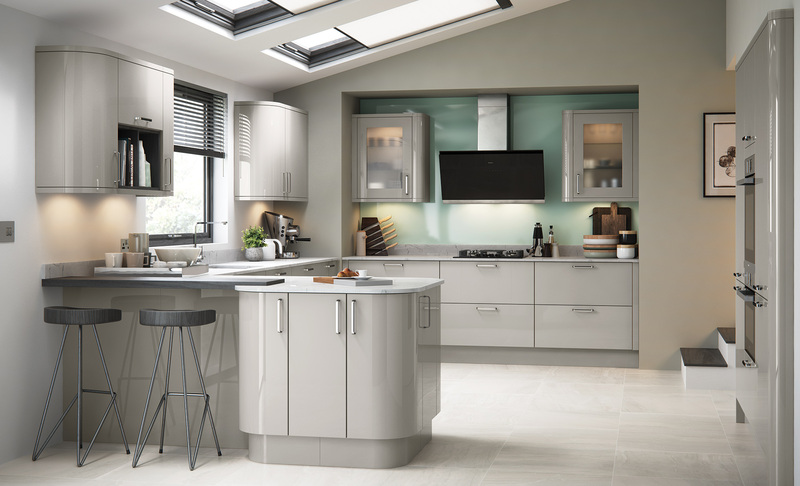 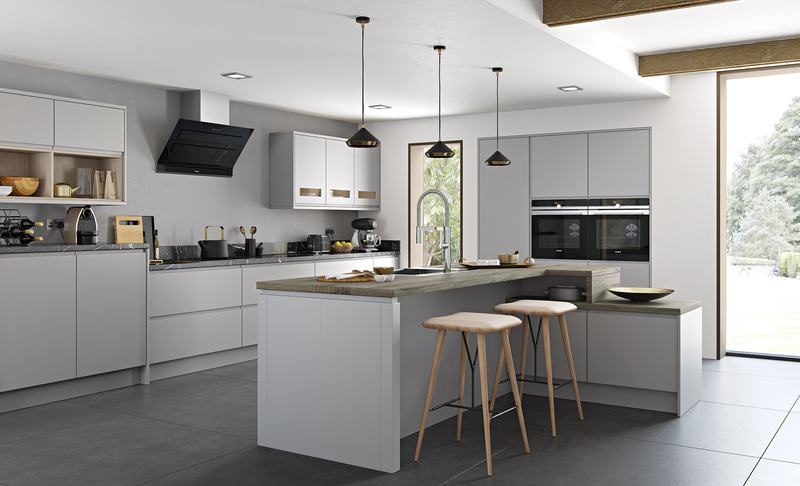 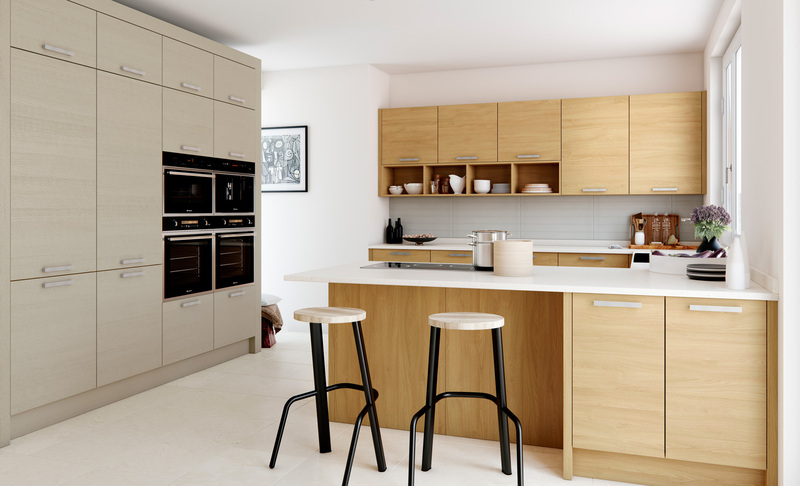 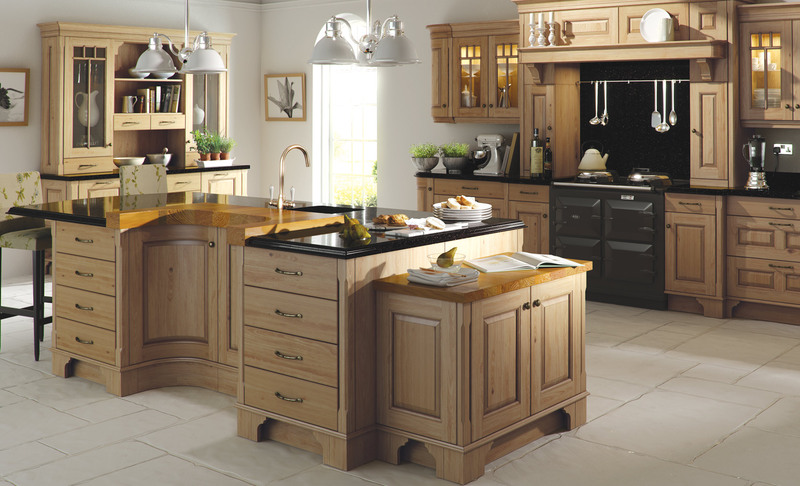 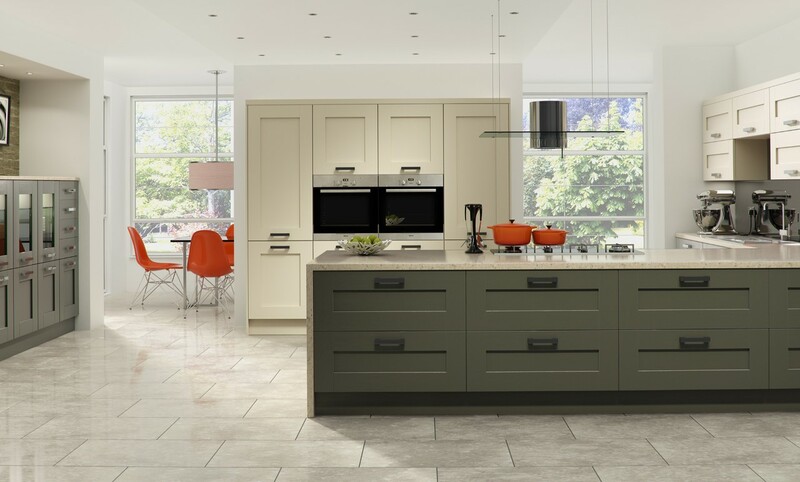 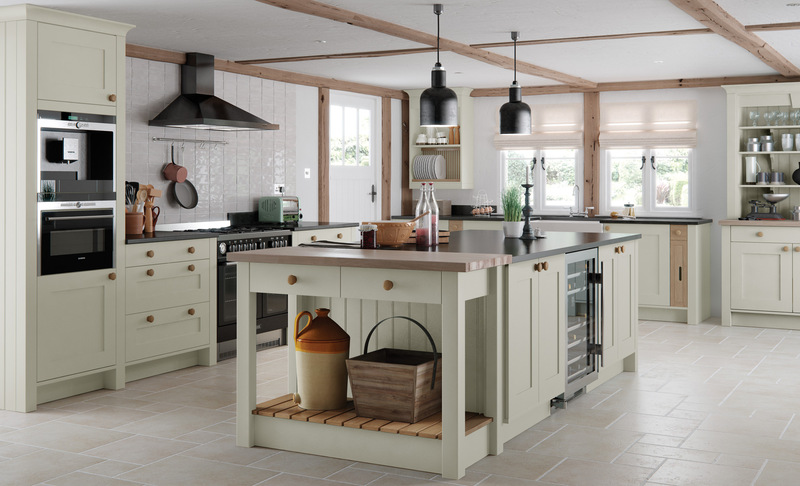 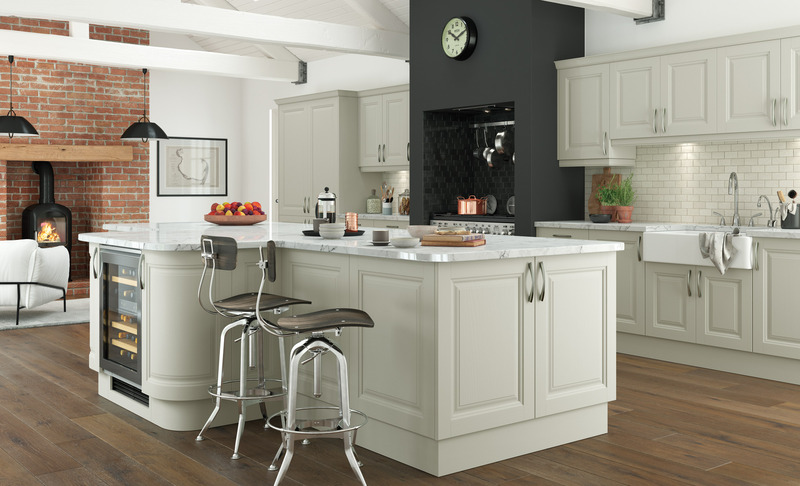 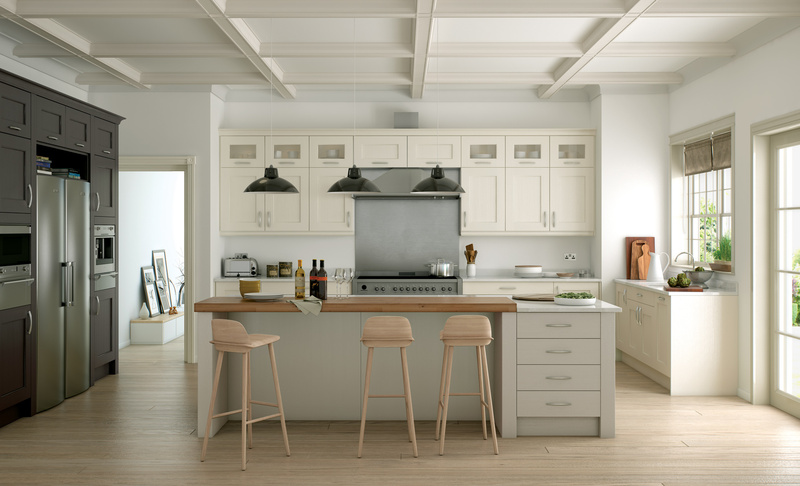 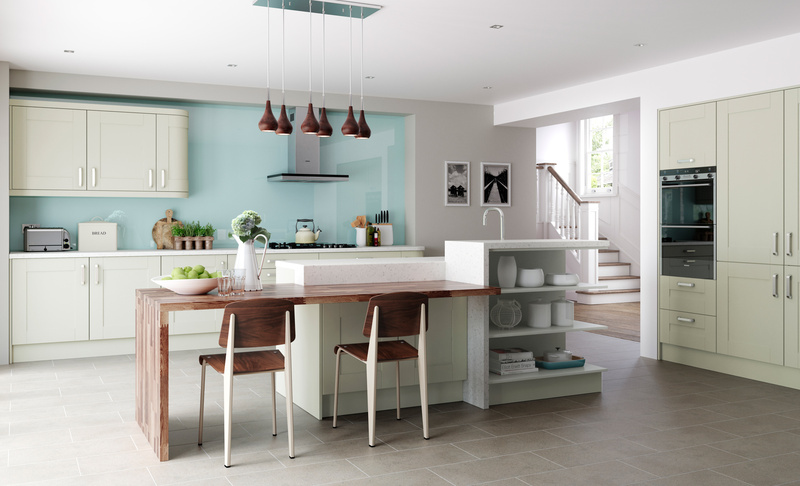 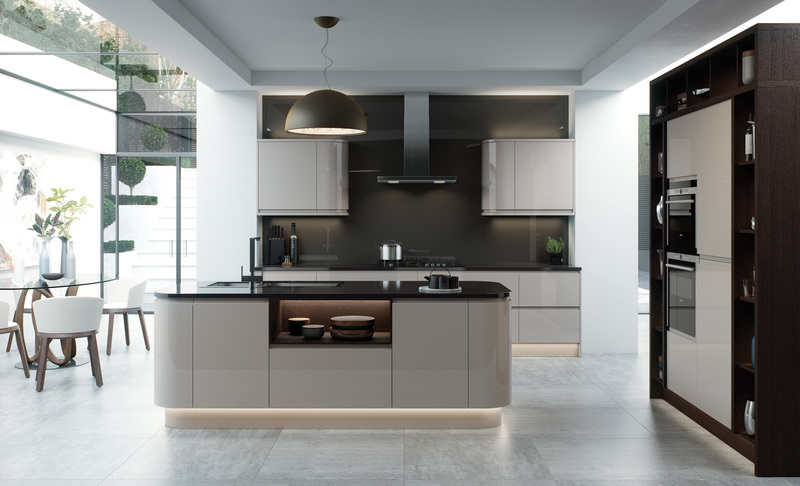 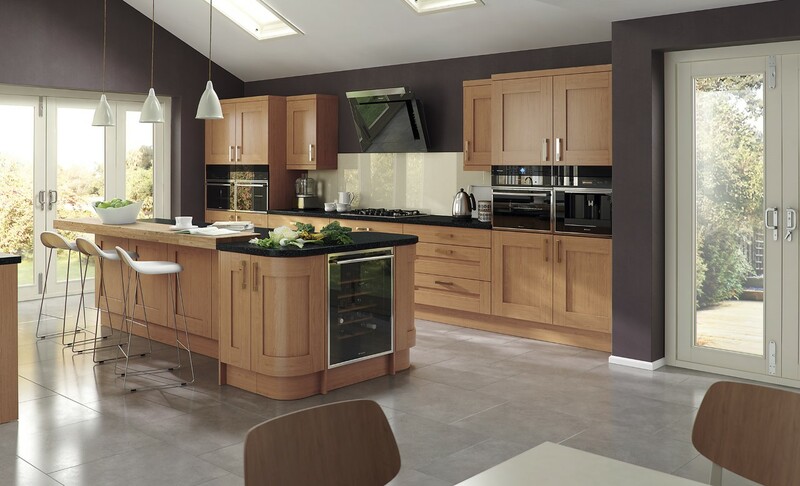 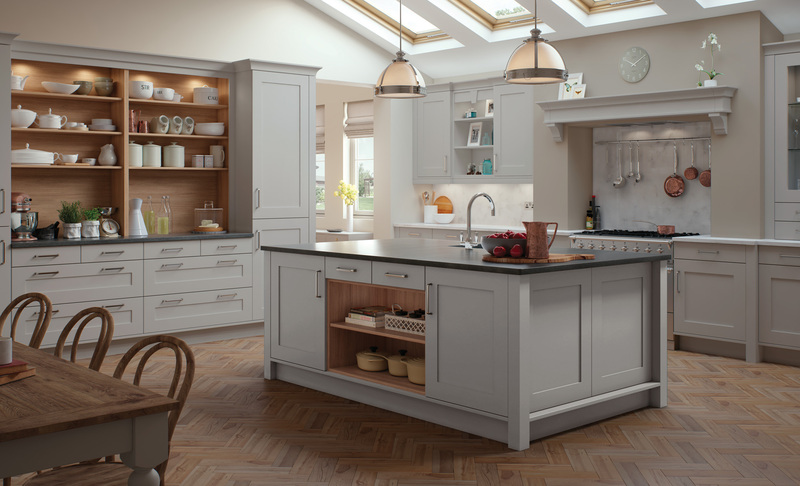 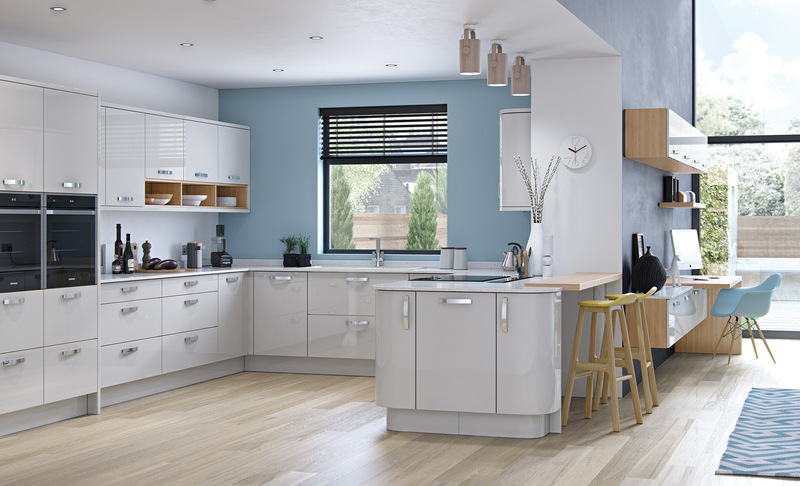 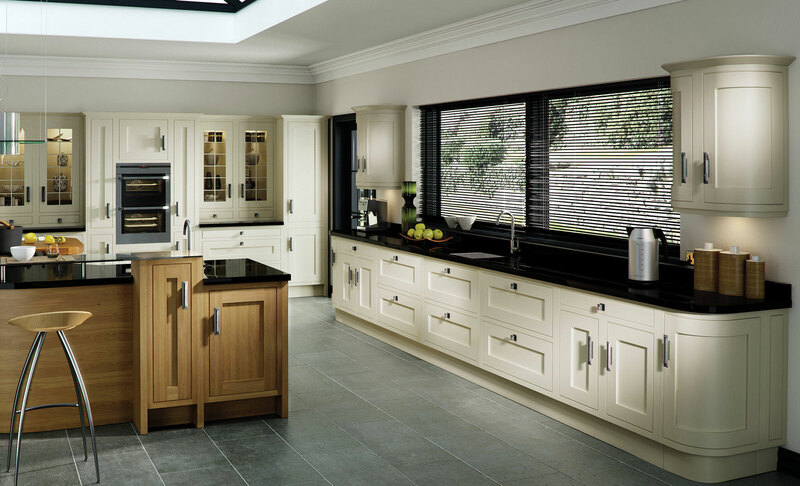 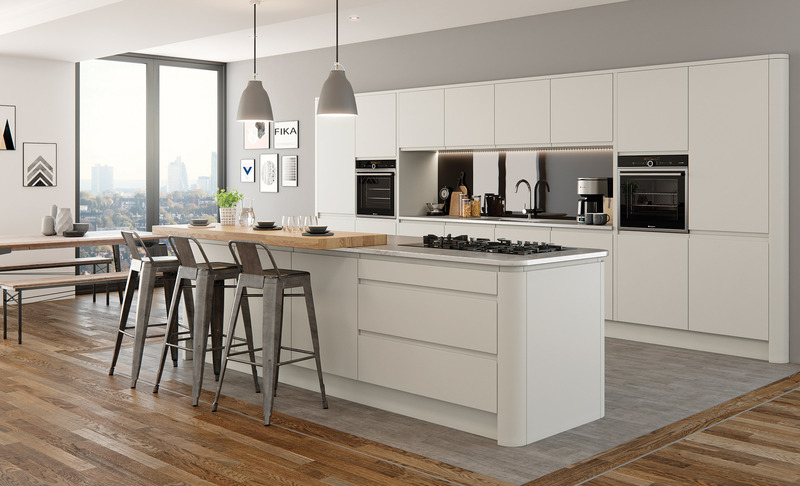 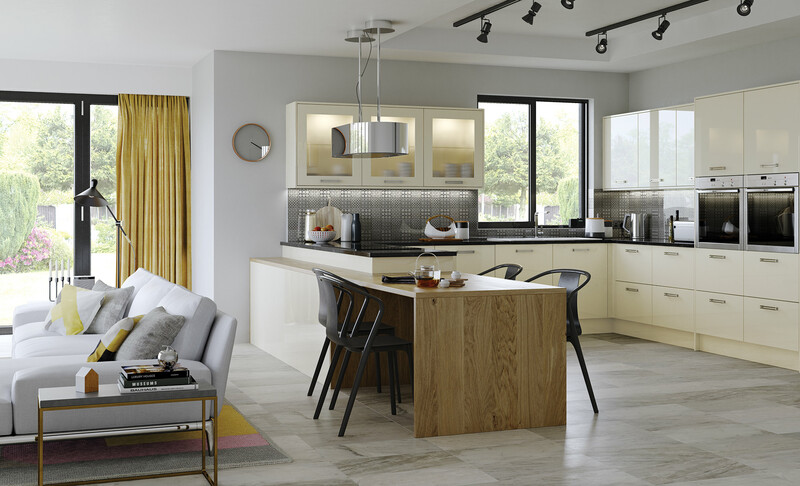 Iona's classic, solid oak inframe design provides strong contemporary appeal with the inclusion of curved doors and a large selection of designer accessories, resulting in a kitchen with a sophisticated look and feel. 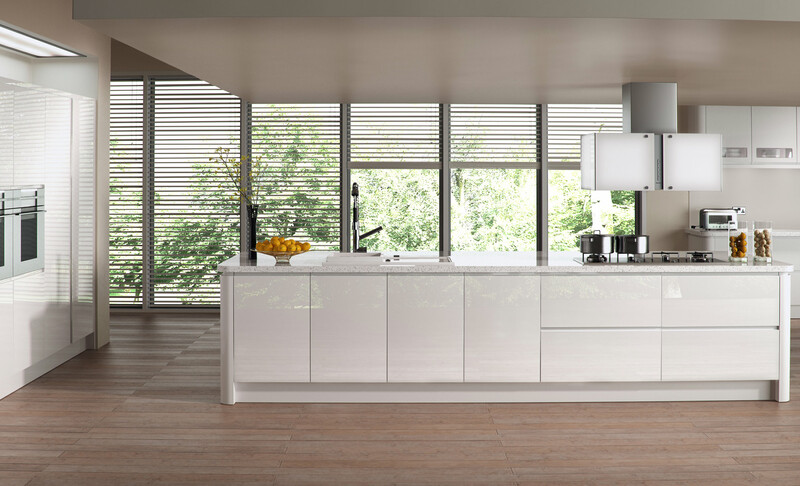 A revolutionary design, with its integrated handle and matte, soft-touch finish, introduces an affordability factor not seen before in a door of this quality. 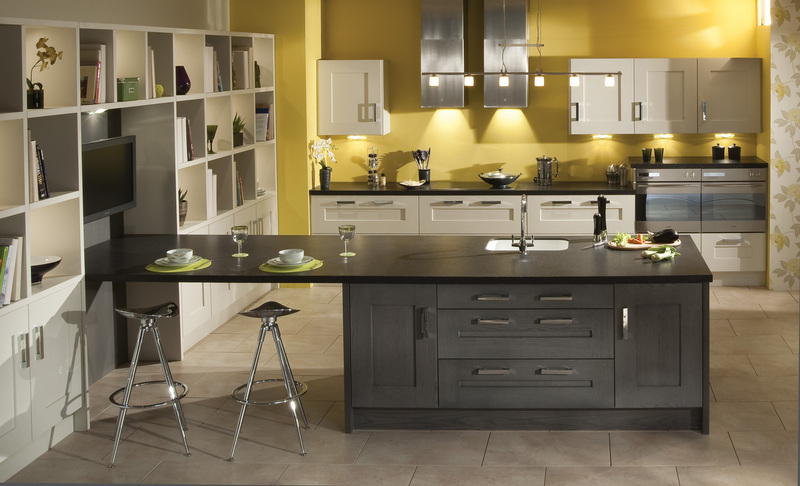 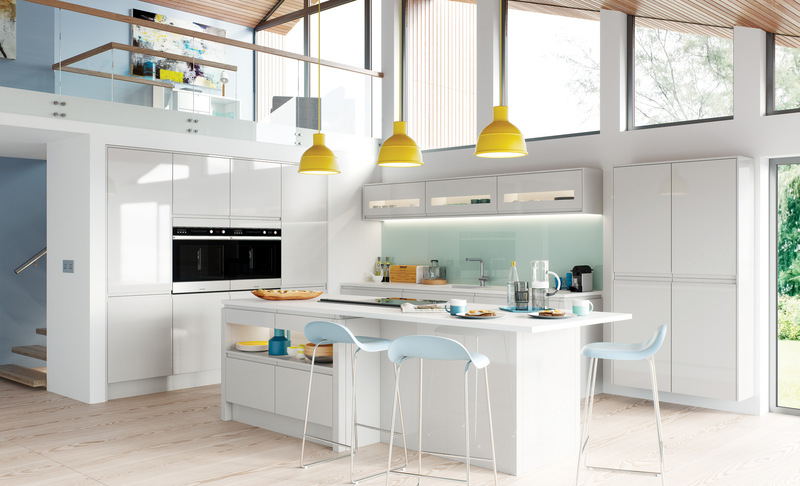 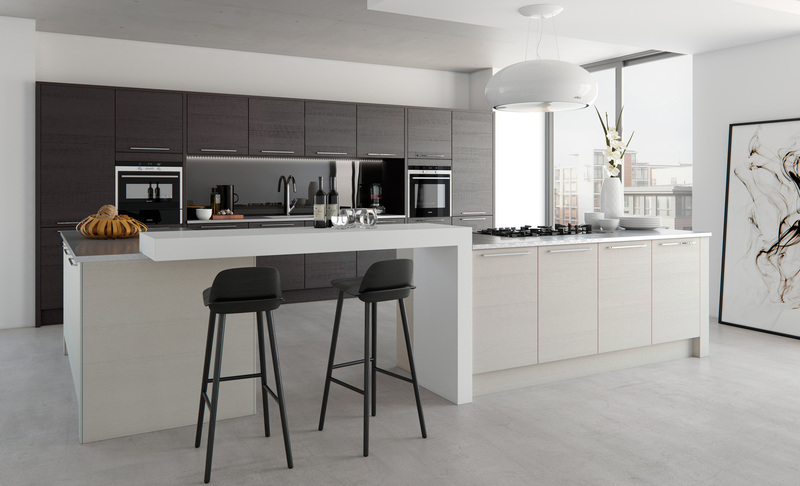 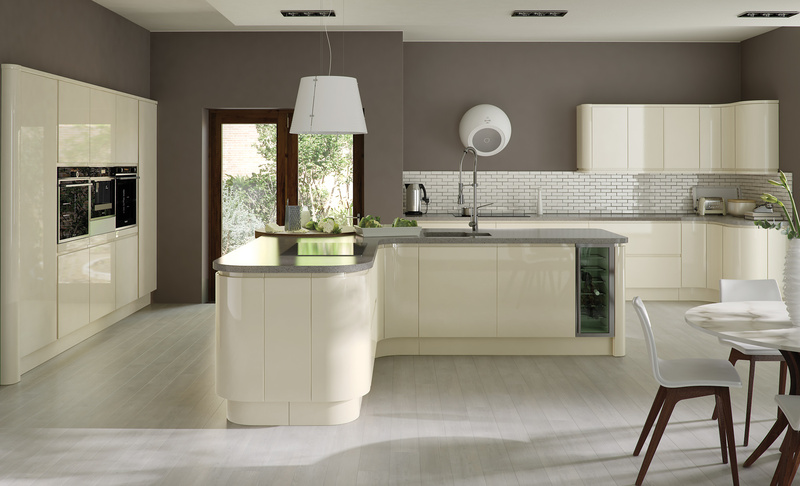 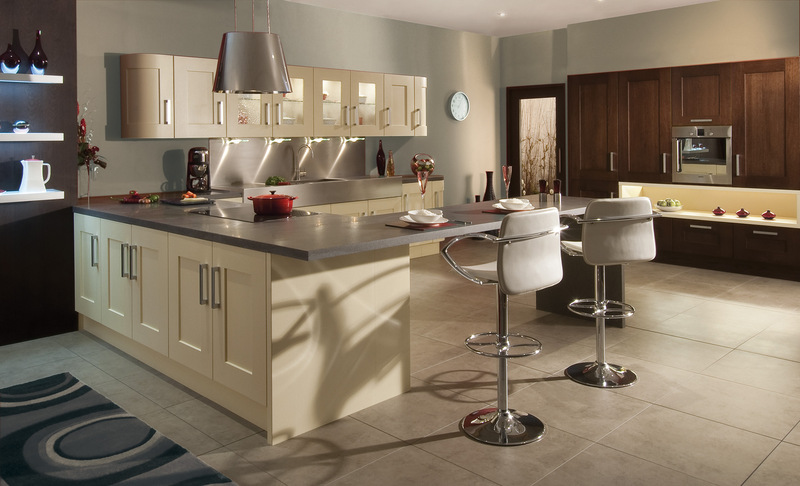 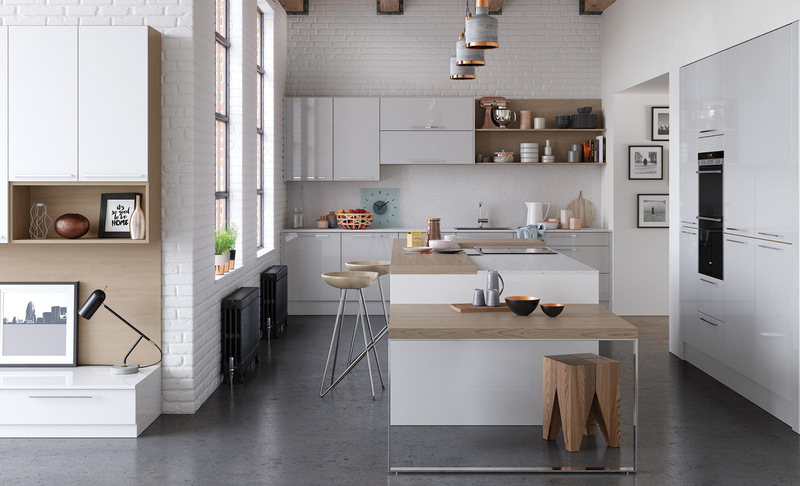 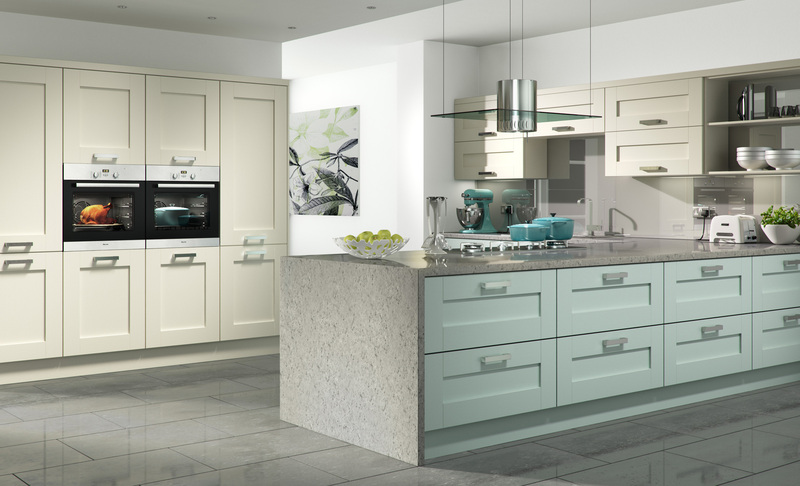 Olympia merges perfectly with other ranges to produce kitchens of outstanding individuality and style. 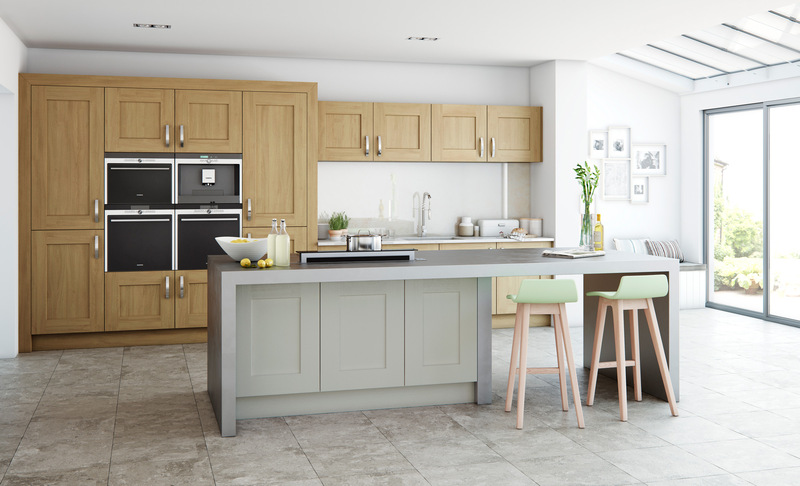 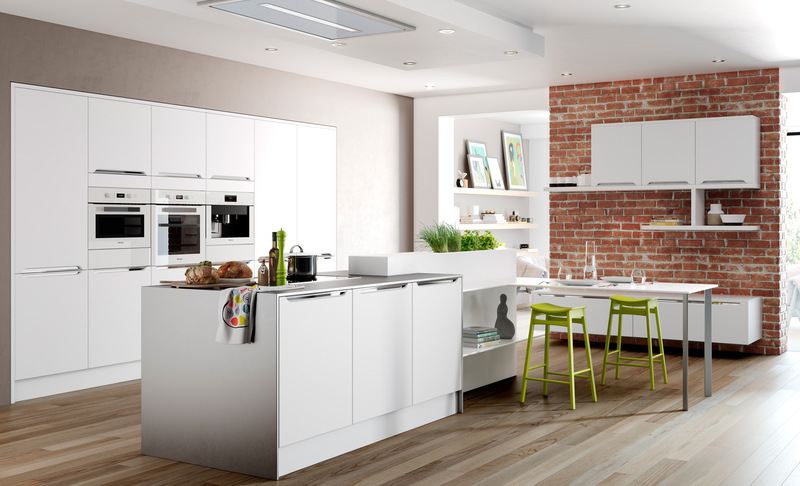 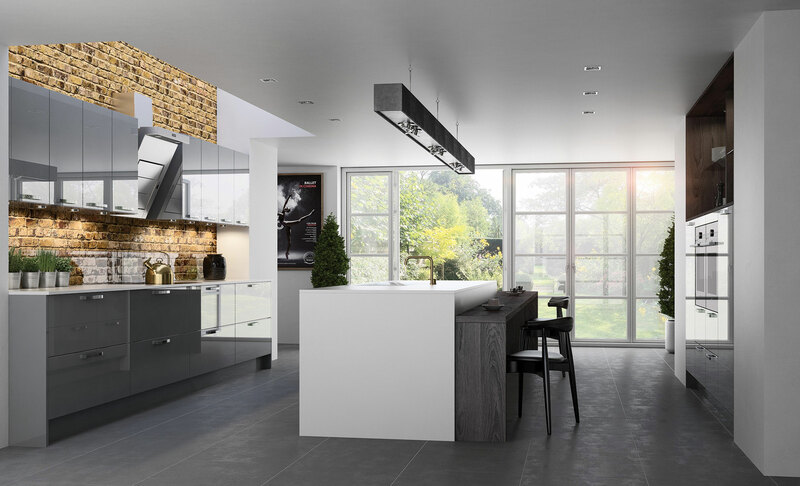 Iona's classic, solid oak inframe design provides a strong contemporary appeal with the inclusion of curved doors and a large selection of designer accessories, resulting in a kitchen with a sophisticated look and feel. 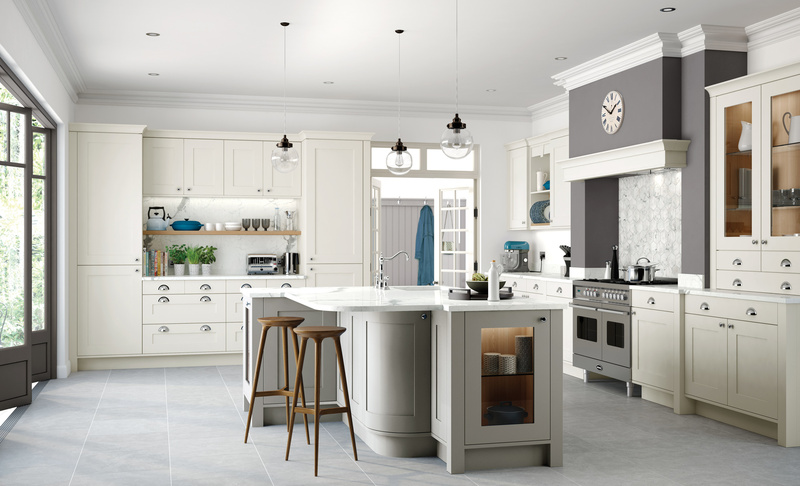 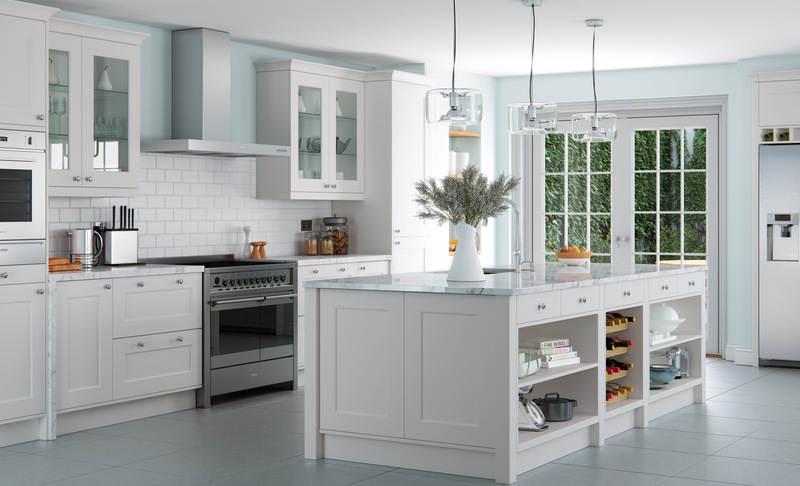 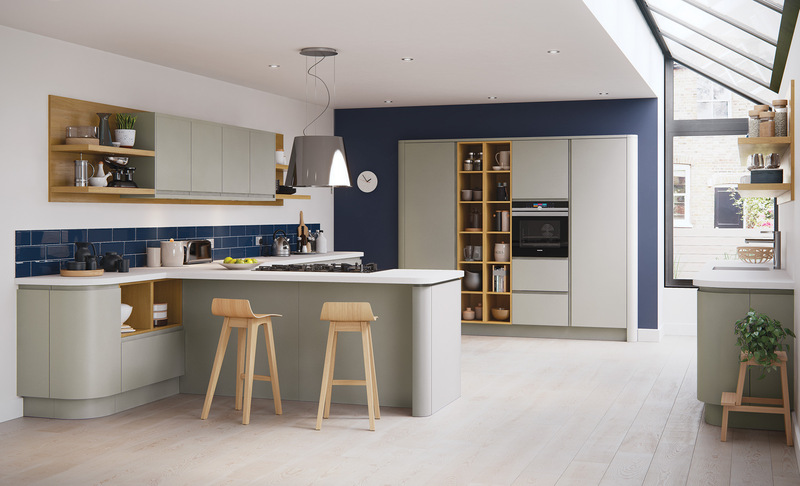 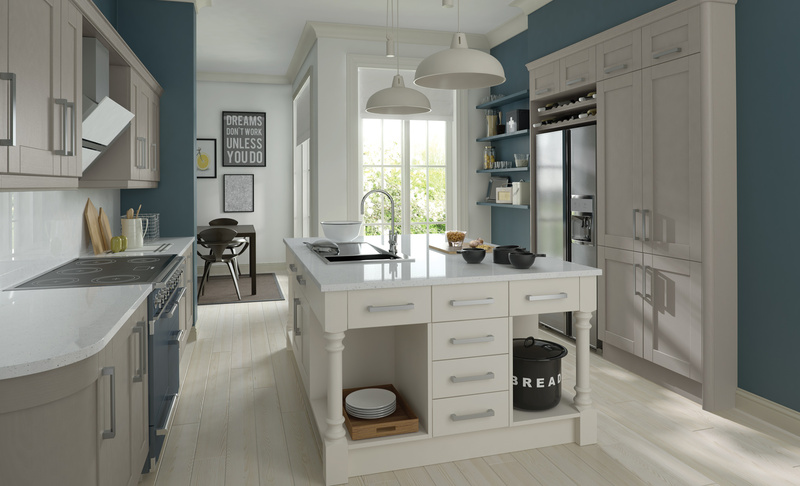 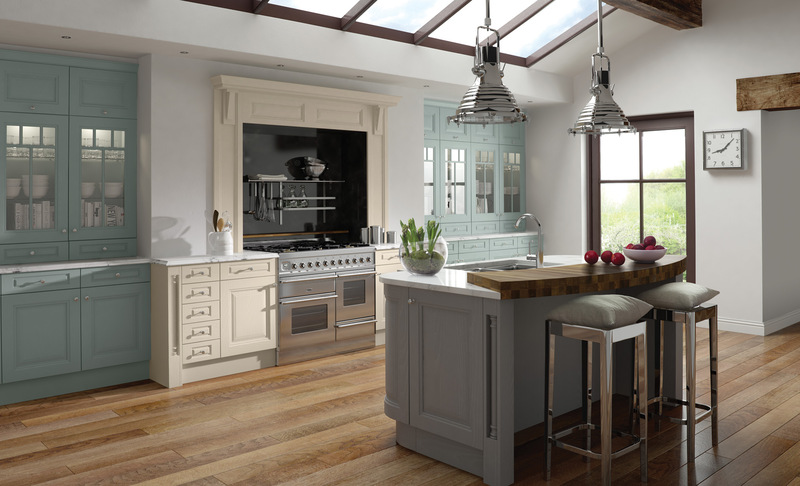 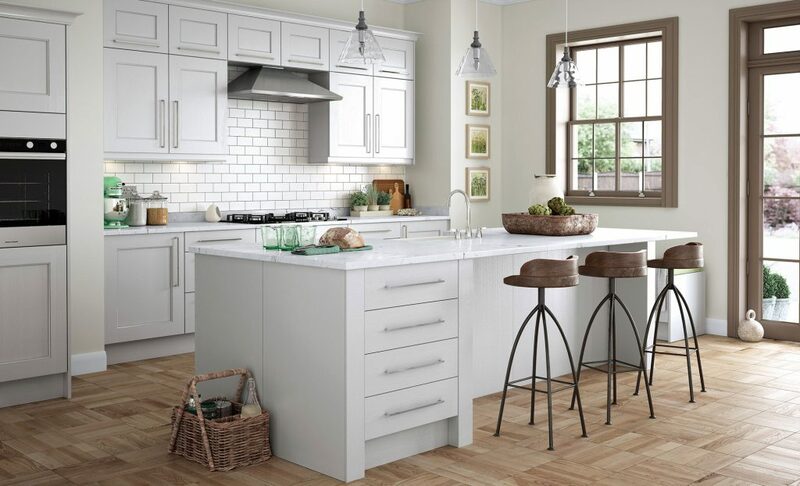 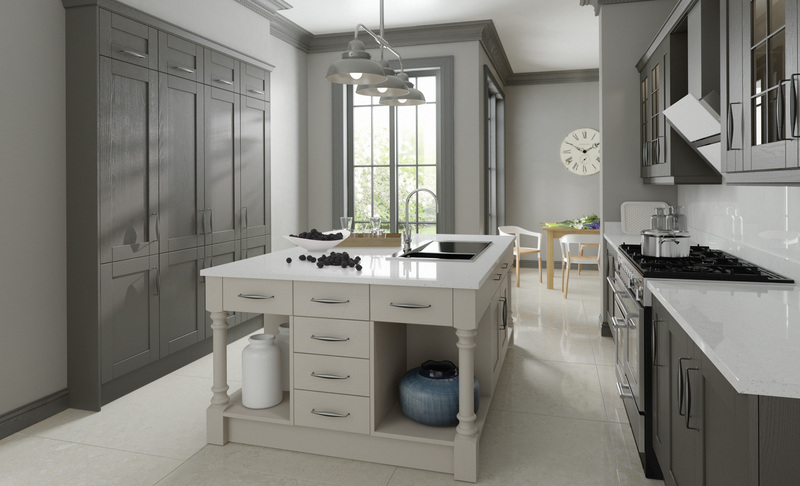 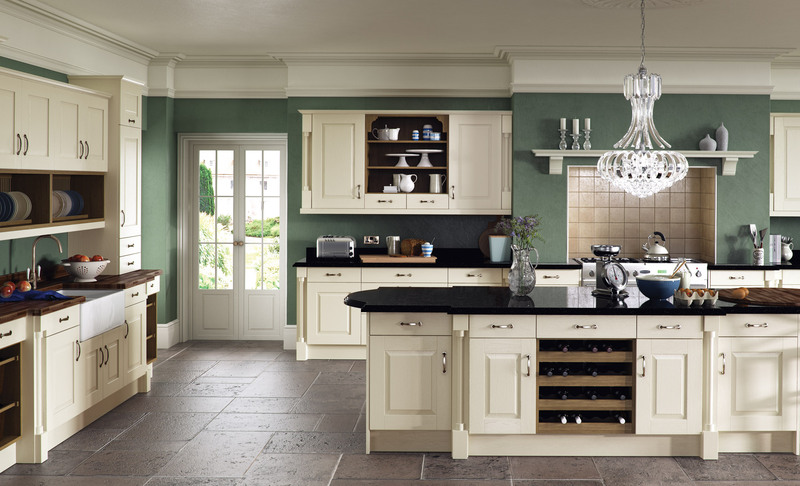 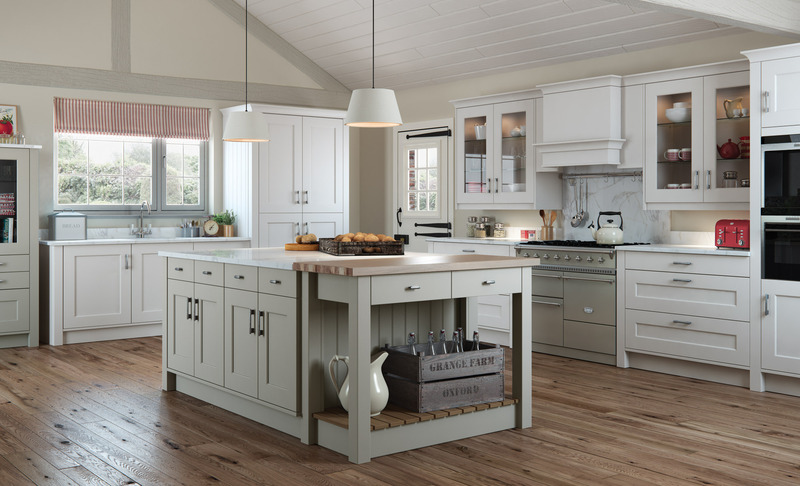 The Georgia door with its flawless, smooth painted nish and modern shaker-style construction can be combined with an array of accessories to create the ultimate kitchen space. 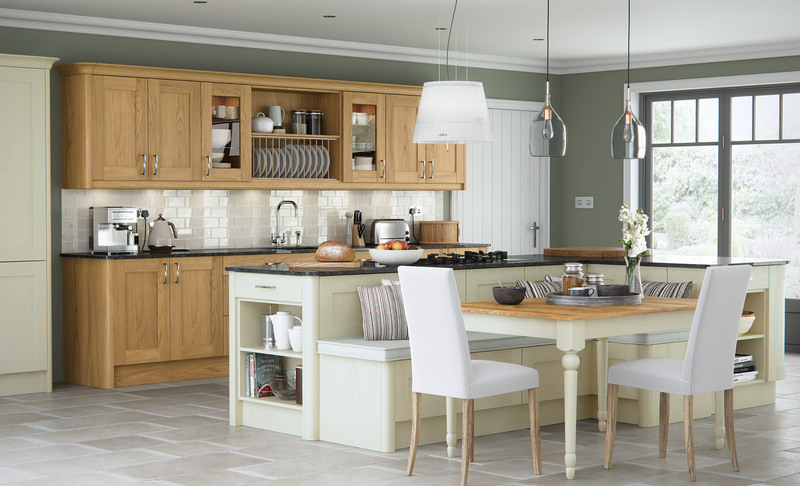 Add your own personal touch by including some of the inspirational accessories available. 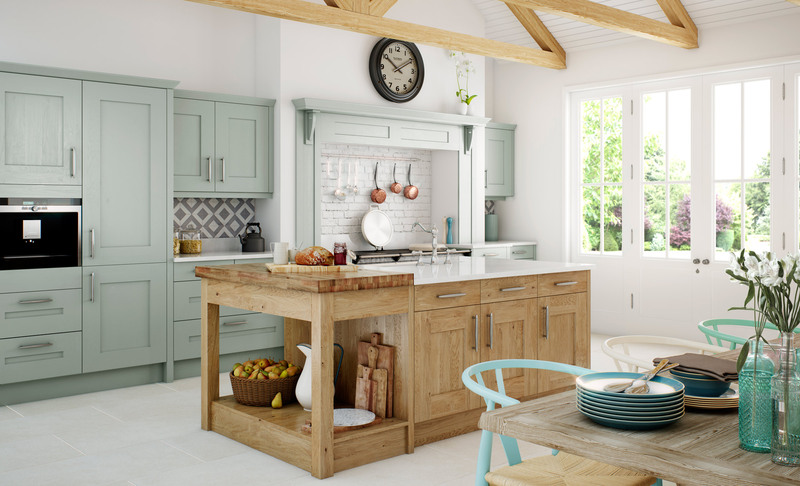 The bold, solid timber structure of the Clonmel door depicts the true nature of this high quality range with its wide frame and deep profile. 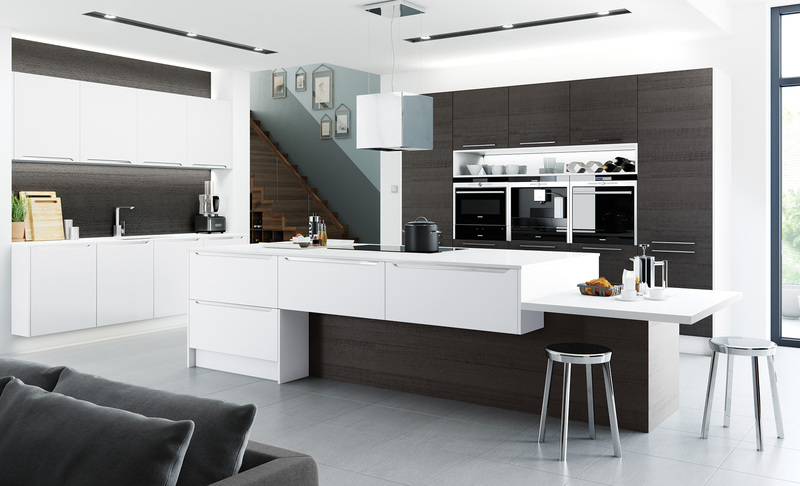 A comprehensive selection of accessories provides a limitless choice of design opportunities. 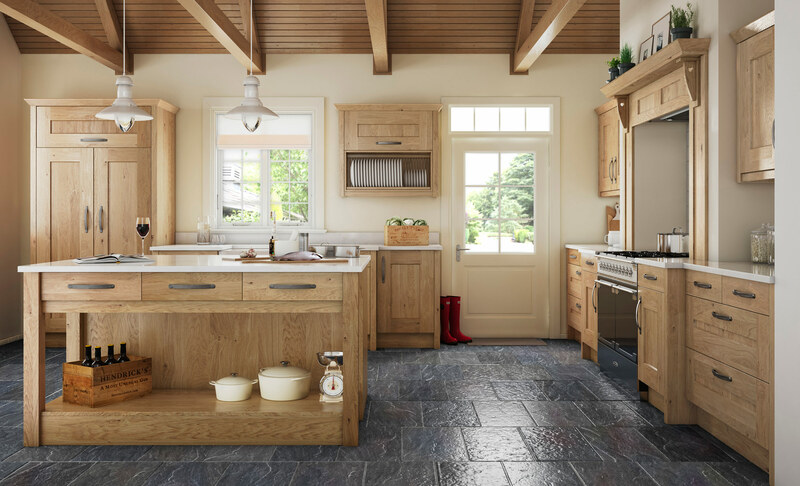 Dante's light oak finish has allowed the superb features and fine detailing of this incredibly popular solid oak range to shine through. 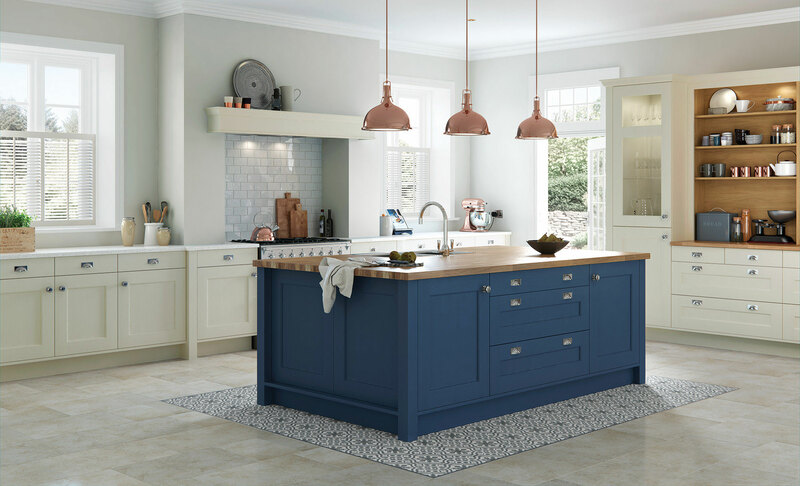 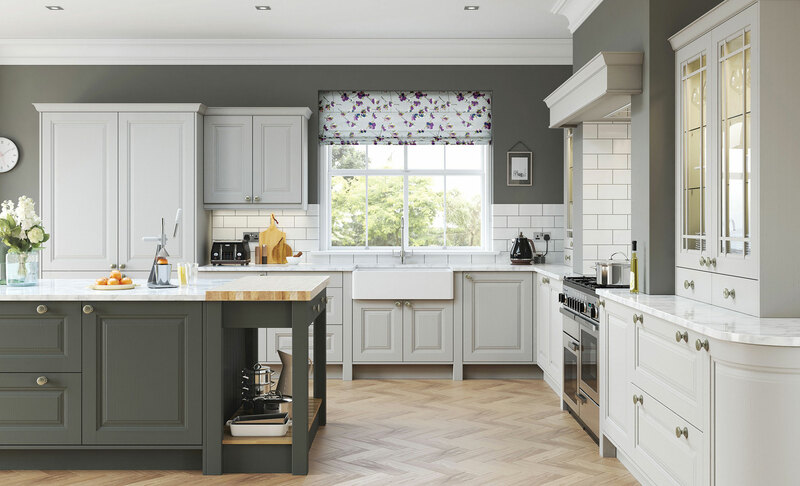 Being extremely versatile, you can combine oak with various different painted colours to bring an exciting new dimension to your kitchen design.